searching for our tuxedo style emperor penguin christmas tree ornaments festive white and black tuxedo style jackets? the hard-to-find handcrafted porcelain emperor penguin christmas tree ornament look wonderful on any tree. 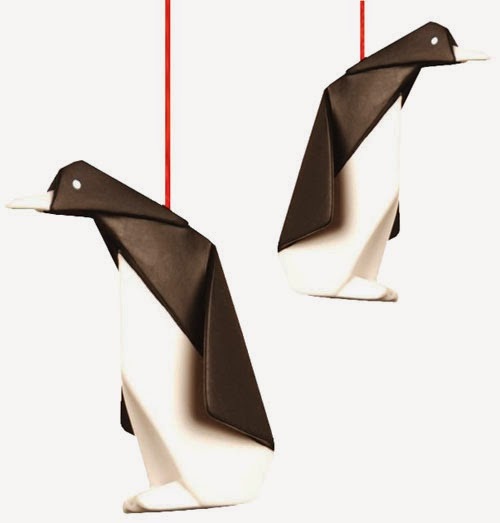 black and white tuxedo-style penguin christmas ornaments are crafted from natural porcelain and feature a black fabric hanging loop. purchase a single set of 2 or use them in multiples for a spectacular display. price is for 1 (one) ornament. must be purchased in multiples of 2. display them throughout the year to bring peacefulness to your home. we've got plenty of inspiring holiday and christmas decorating ideas which will make it easy to transform your house into a warm and inviting place for the holidays. we've brought together many christmas favorites and added a new and unique selection of holiday gift ideas which we hope will bring you much delight.christmas is all about creating the right atmosphere so check out our amazing collection of wonderful christmas ornaments, our attractive christmas trees, wreaths, christmas lighting, our beautiful christmas-tree shaped wooden advent tree, tabletop decor, jewelery and a wide variety of christmas presents. discover the best christmas shop around with a wide selection of meaningful gift ideas and unique and highly decorative interior. explore nova68 for the best in christmas and holiday decor.